I love making herbal honeys. They're easy, safe, effective, insanely delicious, and are the kind of medicine that can be made with a tiny carbon footprint since local raw honey is quite abundant here in our region! 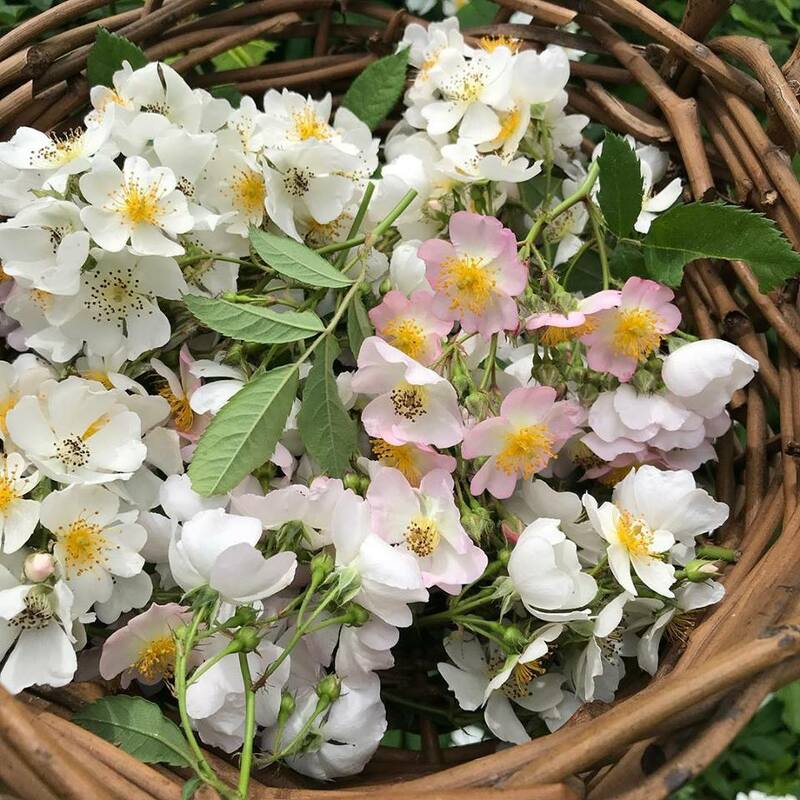 One of my favorite herbal honeys to make is with Wild Rose (Rosa multiflora), which can currently be found growing here in the Valley and hilltowns alike with exuberant and wild abundance! 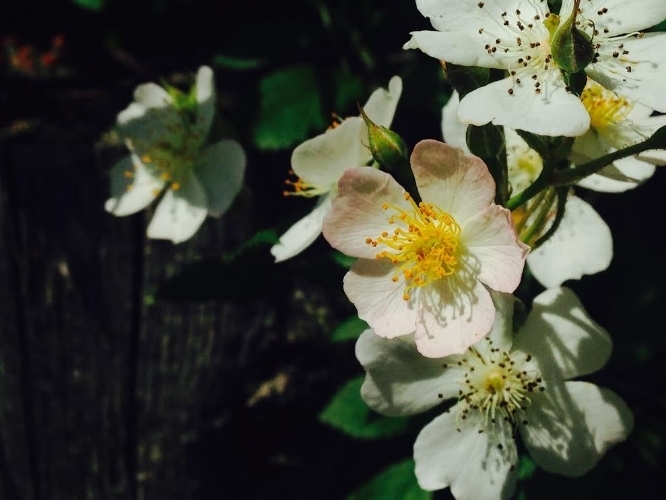 If you're not familiar with this incredible bioregionally abundant medicinal, you can read all about identification, harvest, and complete materia medica of its medicinal voices in my Wild Rose Medicine post here, but today I'm going to focus on her medicine for the spiritual and emotional heart. heart. Rose is always talked about as heart medicine, but how does she effect our emotional heart exactly? When it comes to grief Rose helps us find our way to acceptance- a long and winding road though that may be. She eases difficult transitions and helps us feel into the vulnerable, tender, scared, and wounded parts that need to be processed in order to reach that place of acceptance (or next step in our healing journey), while providing a safe, protected container in which to do so (this is where those thorns come in). This is also applicable to trauma, and Rose is an ally for releasing trauma- particularly when our anxiety is up- again by helping us relax into those scary place (it’s a heart-opener) while providing a safe and protected place in which to do so (it’s also a heart-protector) so we can let that trauma go in a space of self-love and safety, or even just be soothed if that's the medicine we need in the moment. Spirit doses (aka drop doses, usually 1-3 drops as needed) of the flower essence are one of my favorite way to work with Wild Rose in this way, and also as a honey and an elixir (which also contains honey). Honey is heart medicine already- sweet and calming- and the addition of Rose makes perfect sense and tastes divine...recipe below 💕 .